Patient safety is stated as the fundamental principle of good patient care (Summary of the evidence on patient safety: implications for research, WHO, Geneva, 2008). Nearly half (45%) of the adverse events in the Critical Care Safety Study were deemed preventable (Shostek, J Ambul Care Manage 30: 105–113, 2007). Patient safety incidents lead to unnecessary suffering and are a major cause of prolonged hospital stays. Human error is stated as the most common cause of patient safety incidents. Ensuring patient safety is becoming increasingly important for cardiac surgery intensive care unit practitioners. The cardiac surgery intensive care unit is particularly prone to medical errors because of the complexity of the patients, interdependence of the practitioners, and dependence on team functioning. Approaches related to high-reliability organizations (HRO) such as aviation have been applied in health care to prevent incidents and to ensure the delivery of proper care (Riley, J Nurs Manag 17: 238–246, 2009). Measurements of patient safety culture, teamwork, and continuous improvement and organizational learning, including team training with the use of simulation (Wilson et al., Qual Saf Health Care 14: 303–309, 2005), are all HRO approaches (Evidence scan: high reliability organizations, The Health Foundation, London, 2011) recommended as initiatives to improve quality and patient safety in health care. A culture of safety is created through changes in health personnel’s safety perspective and work behaviors, and human resource professionals are an essential contributor to this development. Human patient simulation-based training is a recommended method to make health-care professionals aware of the importance of teamwork and the aspects of team performance (Crossing the Quality Chasm: A New Health System for the Twenty-First Century, National Academy Press, Washington, DC, 2001). Team training program based on crew resource management can be used to improve efficiency, morale, and patient safety in health care (West et al., J Nurs Adm 42: 15–20, 2012). 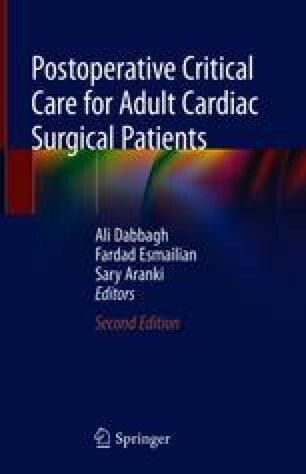 Several important factors play a role in fostering patient safety in the postoperative adult cardiac surgery intensive care unit environments, such as a patient safety culture, better communication, team performance, and team training strategies as initiatives for building patient safety within the adult cardiac surgery intensive care unit. Patient Safety Primer: safety culture. https://psnet.ahrq.gov/primers/primer/5/safety-culture. 2016. November 8.